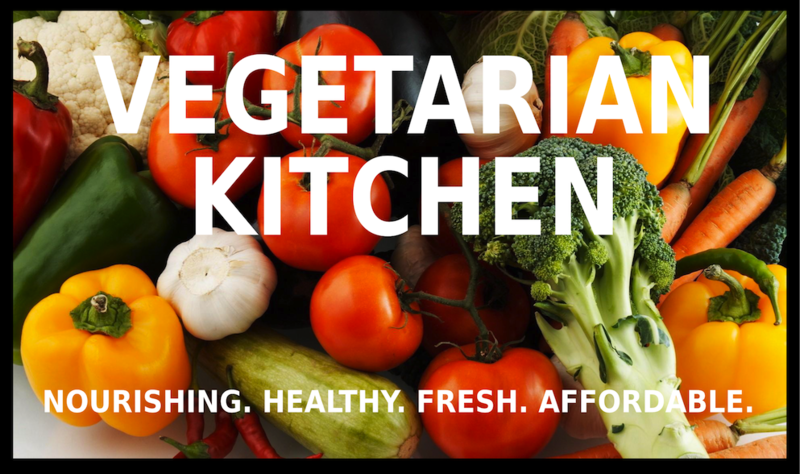 Hi and welcome to our Vegetarian Kitchen and this week we have lunch/supper dishes in under 15 mins. We all have days when we are too busy to spend hours in the kitchen or maybe want a quick meal before we go out in the evening. Fresh pasta is ideal on these occasions with a cooking time of only 3 to 5 minutes. Most supermarkets will sell fresh pasta in their chilled foods compartments and once home store it in the fridge. It will last 2 or 3 weeks if unopened. Here are our suggestions for a quick meal. Grated Cheese (Parmesan or Mature Cheddar). Do not use Mozarella as it will become elastic. Bring a large saucepan of boiling water to the boil, add pasta and cook for 3 to 5 mins. Drain in a colander. Return pasta to the saucepan. Add one or two of the above ingredients. eg Fresh basil leaves and cherry tomatoes: or a tablespoon of pesto with broad beans or peas. If you prefer a creamy sauce, stir in double cream at this stage. Drizzle olive oil over pasta then serve immediately and add grated cheese. Hi and welcome again to our vegetarian kitchen. At last Spring has arrived - the daffodils are out in the parks and gardens in the South and we have actually seen the sun this week. About time too! Mother's Day is on Sunday 31st March so we have recipes we hope mum will love so give her a day off from cooking with these easy recipes. Spoon lemon juice over apples to prevent them going brown. Mix all ingredients in a bowl. Arrange on individual plates. Place lettuce leaves on each plate, pile the Waldorf Salad mixture on the lettuce. Serve. 1 tablespoon parsley (dried) salt & pepper to taste. First.cook the rice. Always twice the volume of water to rice. Bring to boil, put on lid and simmer gently for 15 mins after which time all water should have been absorbed. Next, cut peppers in half longways. Remove seeds and cores. Wash. Brush with oil outside and inside. Serve with a green salad or mixed leaves. First, separate the eggs. Put yolks in a small bowl and beat. Whites in a separate bowl. Break chocolate into pieces and put in a small bowl with 5 teaspoons water. Place over hot water and stir until chocolate is smooth. Next remove chocolate from heat, add egg yolks and stir .Leave to cool. Whisk the egg whites until stiff enough to stand in peaks then fold them into the chocolate mixture until smooth. Put the mousse into 4 individual serving dishes and leave to set in the fridge. You could 'lace' the mousse with rum or brandy, or alternatively decorate with cream. It depends how indulgent you are. EN JOY! HAPPY MOTHER'S DAY TO ALL MUMS on 31st March. Hi and welcome to our Vegetarian Kitchen. This week we have our own recipe for vegetarian Bolognese Sauce. This sauce is the most well known of Italian sauces - most people have had Spaghetti Bolognese but is also used with other pasta dishes e.g. Lasagne. Use this recipe later when we give our recipe for Lasagne. SERVE with any pasta e.g spaghetti, penne or use for lasagne. Hi and welcome to our Vegetarian Kitchen. Forget the nut roast and instead invite your friends to a meze. Meze, a selection of dips, pitta bread and olives, is originally from the Middle East, Greece, Turkey and Cyprus. Meze can also be a huge feast with up to 40 dishes served. So it is great for any kind of celebration. We will give you ideas for a small Meze, very good served with drinks if you have friends round. Also we will give you recipes for a feast. Hi, and welcome to our Veggie Kitchen. The Autumn is here and this recipe is warming and cheap. SUNFLOWER OIL or any cooking oil. Do not use olive oil. Put about 3 tablespoons of oil in a large saucepan. Heat gently, fry chopped onion for a few minutes, add the garlic and fry for one minute. Add all spices, stirring all the time. Add chick peas and stir thoroughly, then add tinned tomatoes and can of water. Bring the pan to the boil and add the green chilli chopped. Simmer gently for about ten minutes stirring now and then. Add all the spinach, stir and then turn off heat. Put on lid and leave for 5 minutes and the spinach will wilt and soften. Stir again and serve. Serve with rice and pitta bread or Naan bread. If you cannot get the spices use curry powder instead.